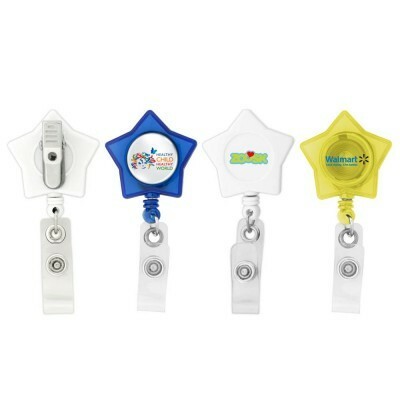 Star shape 28" retractable badge holder with metal clip on the back. Solid construction. 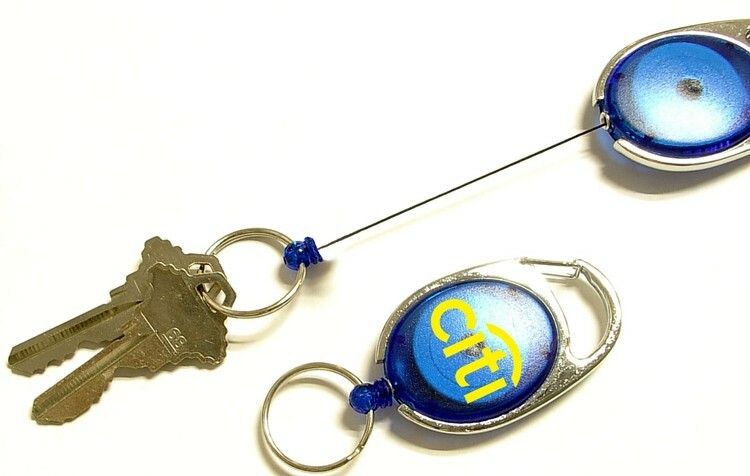 Great for events, trade shows, corporate name tags, badges and ID cards. Fits all of our clear vinyl badge holders. Plastic snap size 1/2" x 1/8". 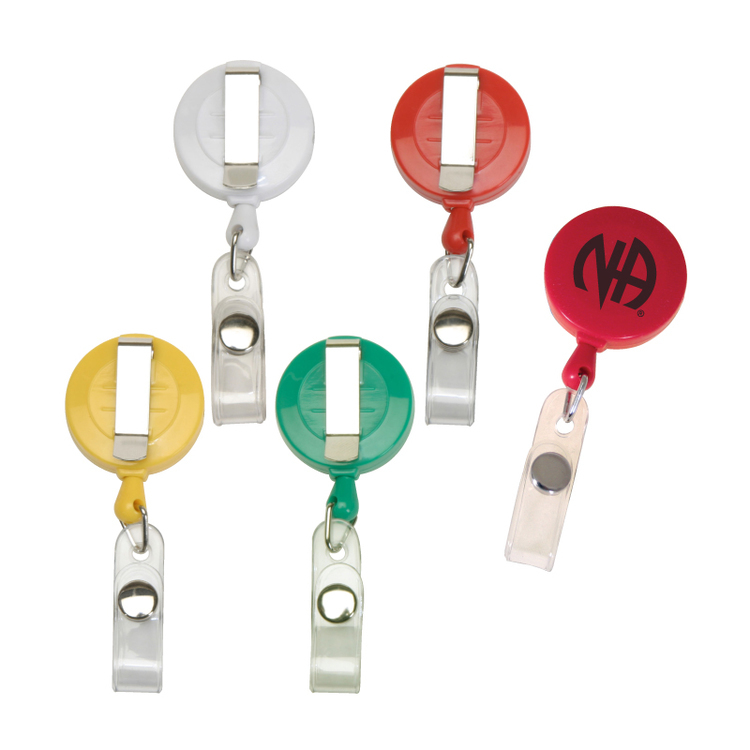 Oval shape retractable badge holder with carabiner clip. Solid construction. 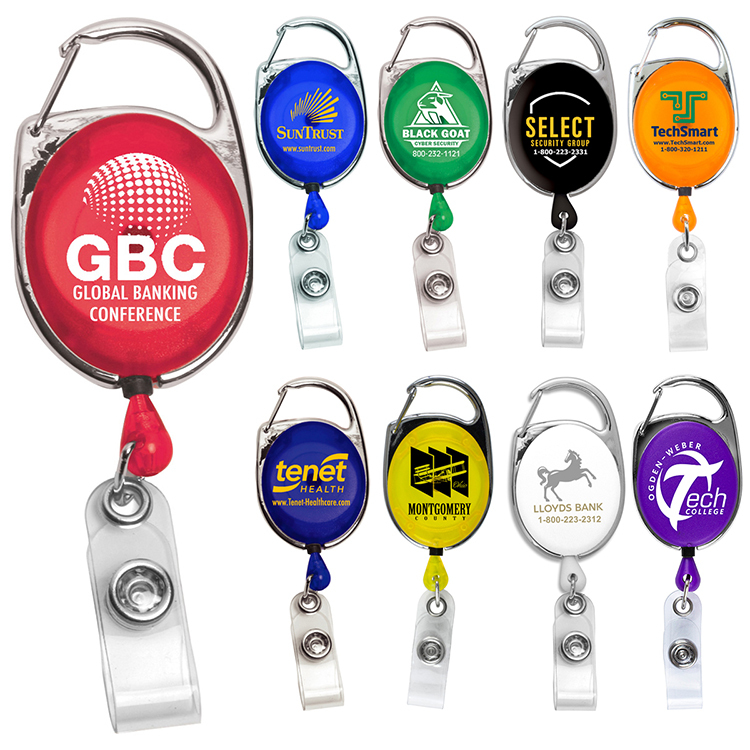 Great for events, trade shows, corporate name tags, badges and ID cards. Fits all of our clear vinyl badge holders. Plastic snap size 1/2" x 1/8". 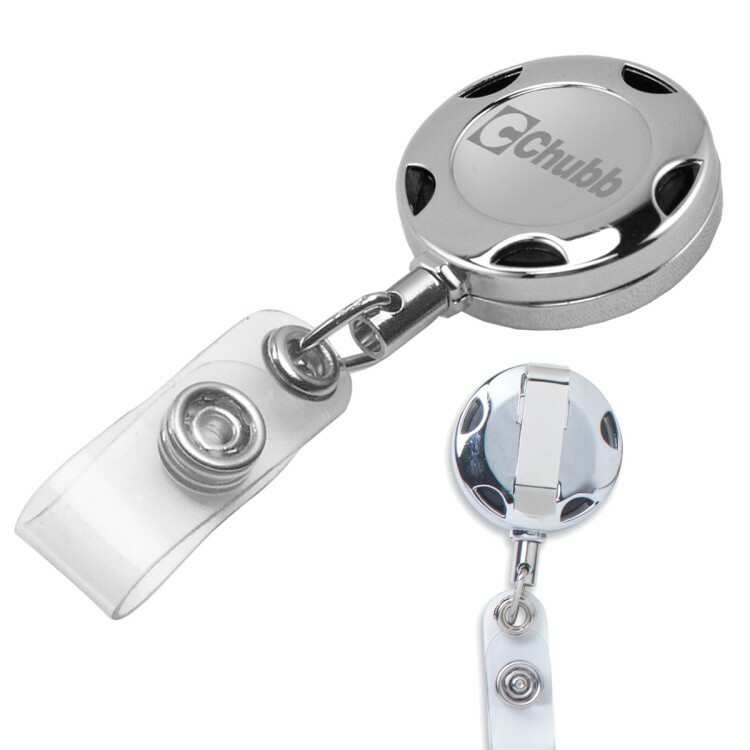 Retractable badge holder reel with metal alloy belt clip back and belt clip. 25" nylon cord. 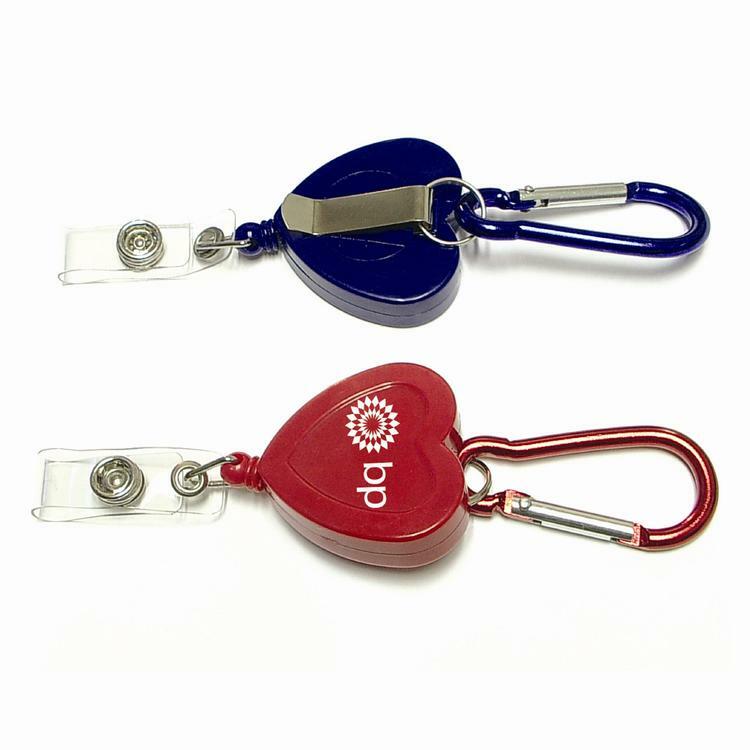 Heart shape 29" retractable badge holder with carabiner, metal clip on the back. Solid construction. 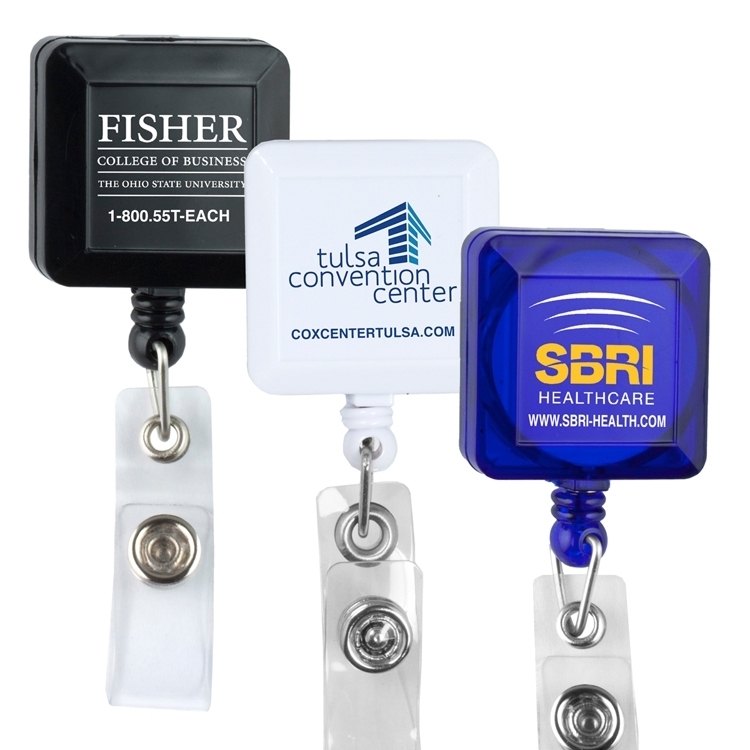 Great for events, trade shows, hospitals, medical providers, corporate name tags, badges and ID cards. Fits all of our clear vinyl badge holders. Plastic snap size 1/2" x 1/8". 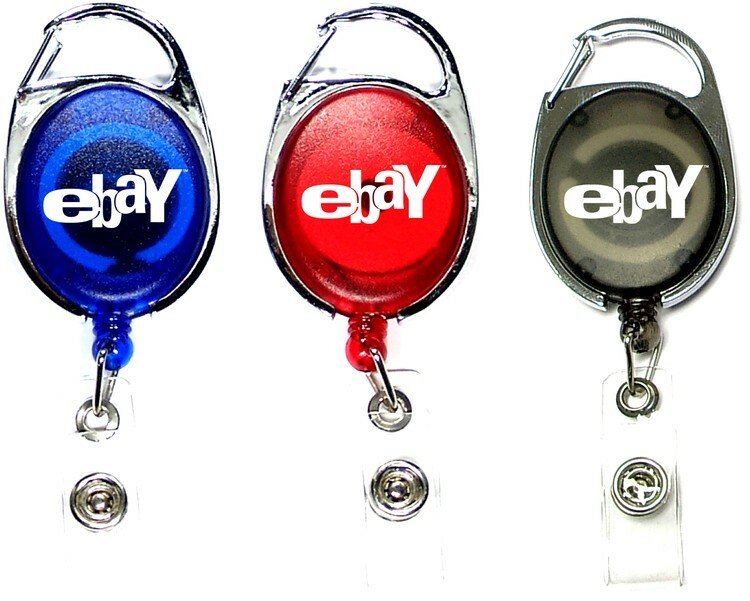 Oval shape retractable key holder with carabiner clip and key ring. Solid construction. 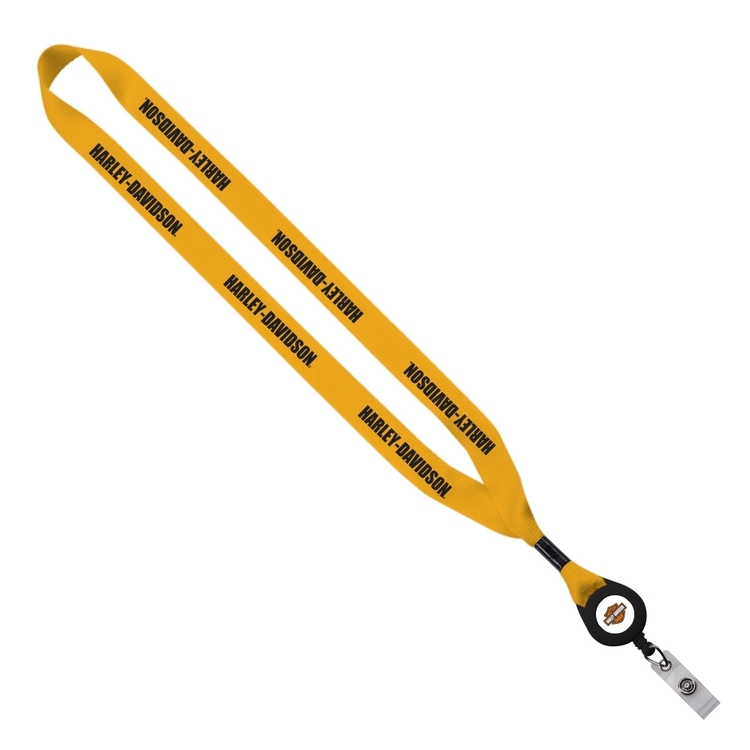 Great for events, trade shows, corporate name tags, badges and ID cards. Fits all of our clear vinyl badge holders. 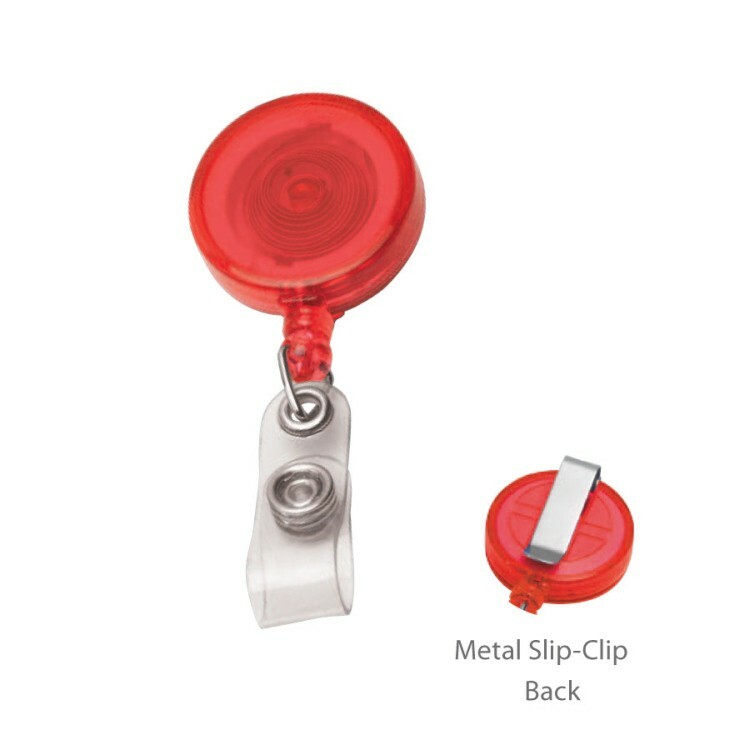 30" Cord Square Retractable Badge Reel and Badge Holder with Metal Rotating Alligator Clip Backing. 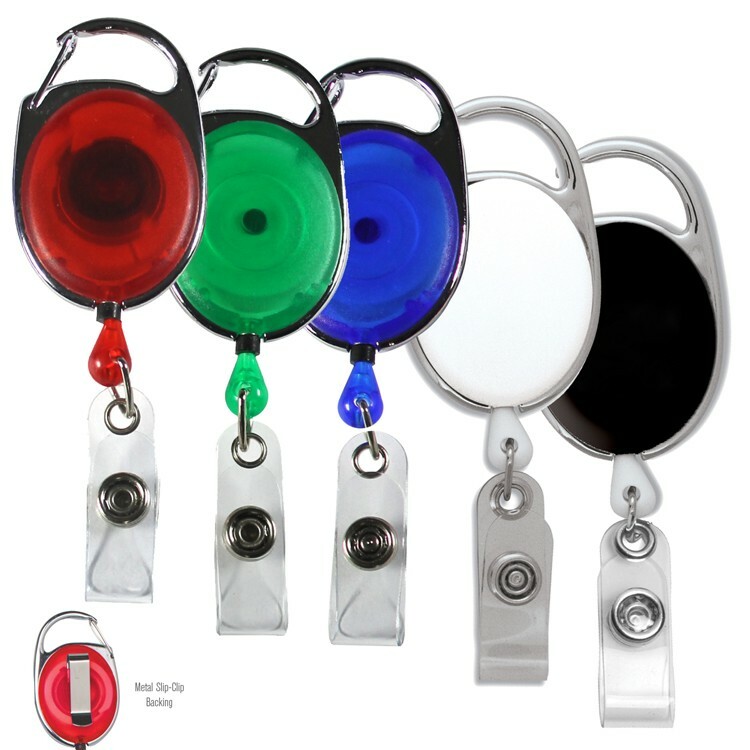 • A 30” retractable trade show/office badge reel with a metal swivel alligator clip on the back. 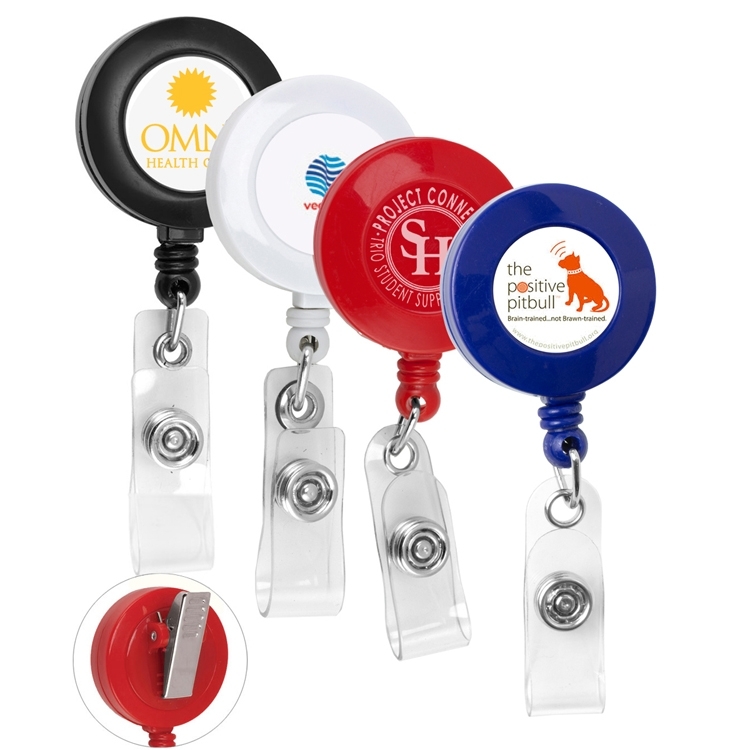 • Imprint directly on the badge holder or have a full-color digital insert. • Epoxy Dome not included in 24hr service. Epoxy Dome will require 3-day production. 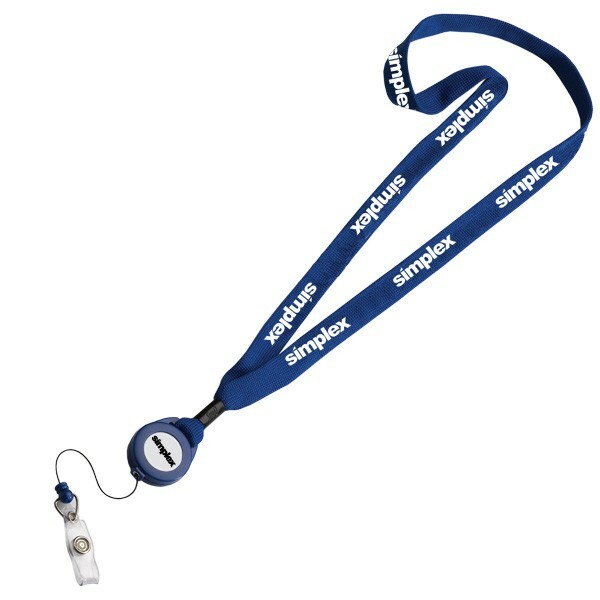 A premium quality 30" long retractable badge reel available as blank items. Features metal slip clip at back. 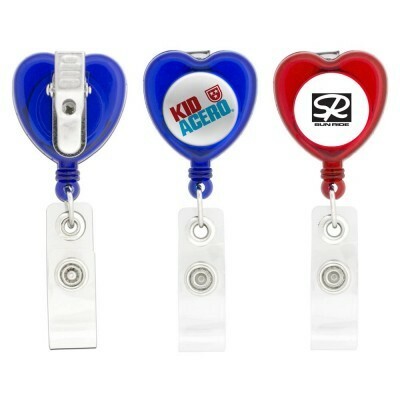 • The 30” retractable, heart-shaped badge holder features a metal swivel alligator clip for secure attachment to clothing. 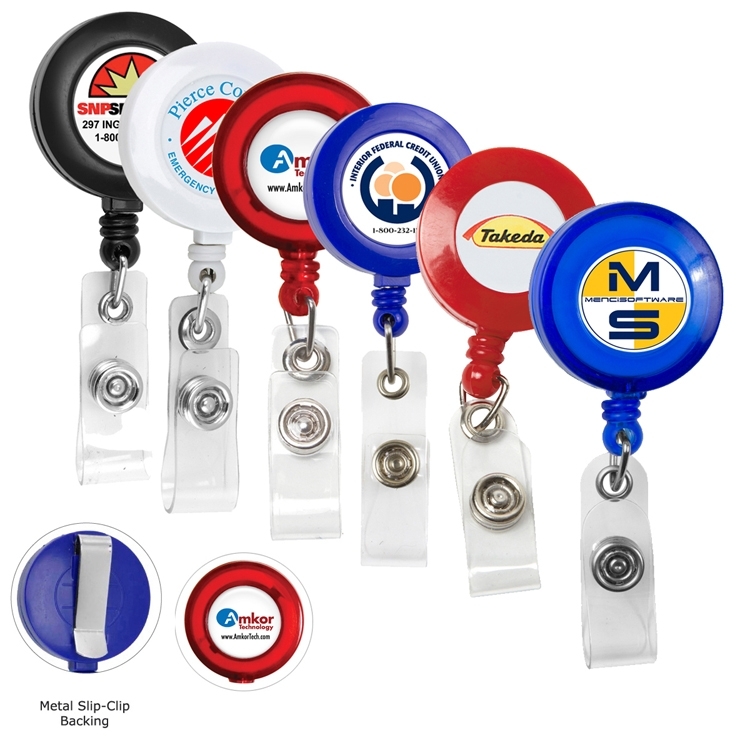 • Imprint directly on the badge holder or have a full color digital insert. • Epoxy Dome not included in 24hr service. Epoxy Dome will require 3-day production. 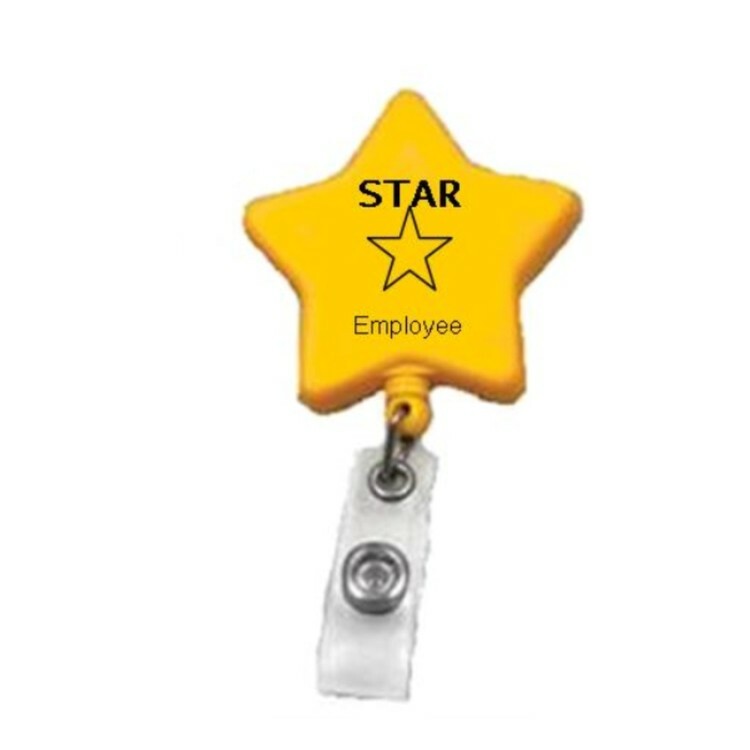 Star Retractable Name Badge Reel. Badge reel length is approximately 30". Comes in yellow. Includes one color imprint in one location. 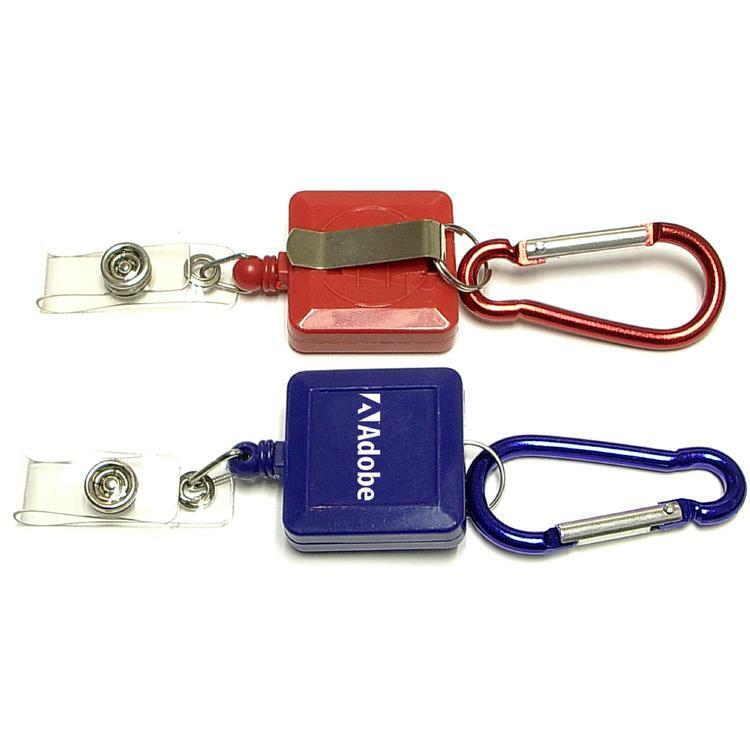 Square 26" retractable badge holder with carabiner, metal clip on the back. Solid construction. 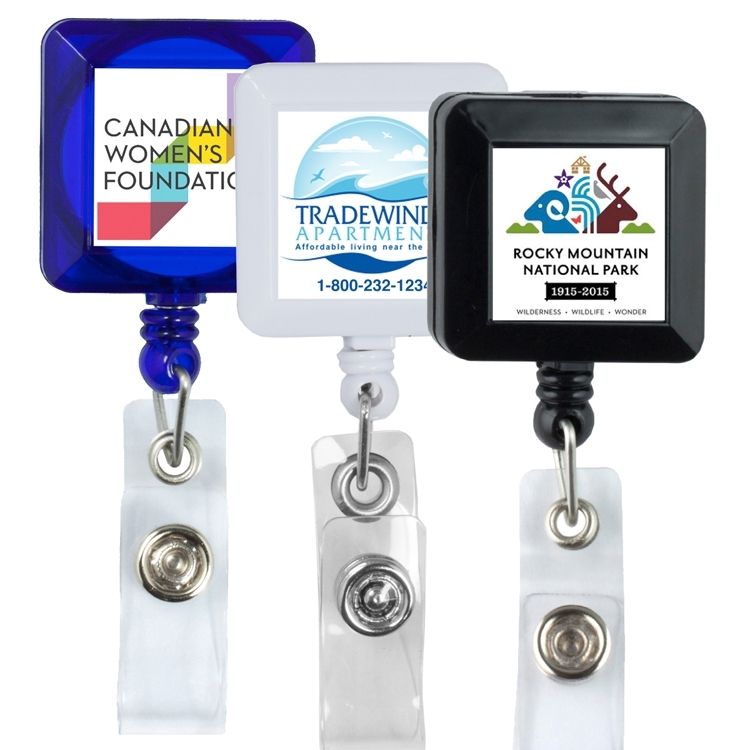 Great for events, trade shows, corporate name tags, badges and ID cards. 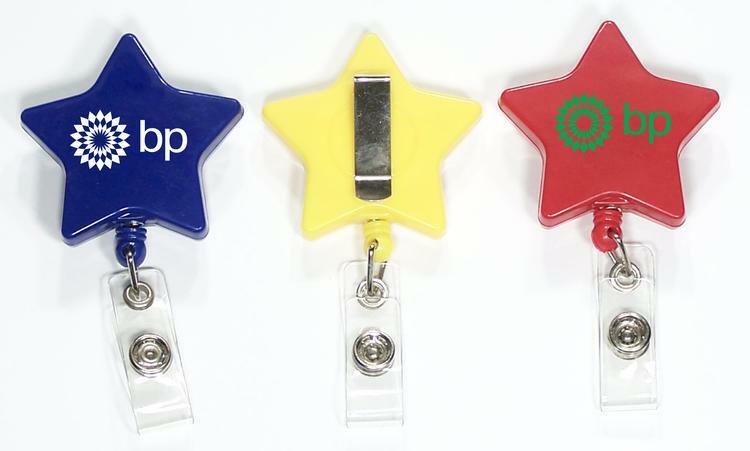 Fits all of our clear vinyl badge holders. Plastic snap size 1/2" x 1/8". 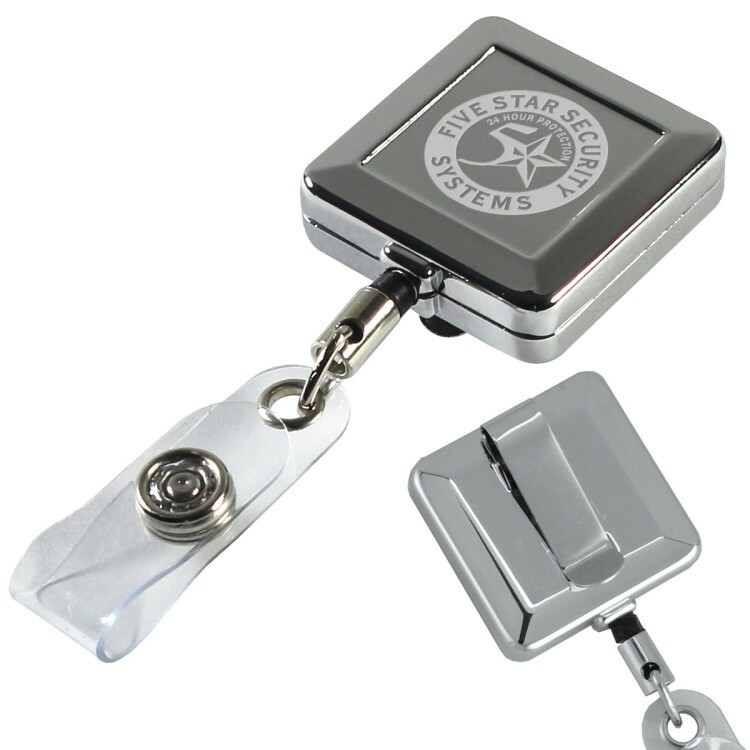 30" Cord Square Retractable Badge Reel and Badge Holder with Metal Slip Clip Backing.